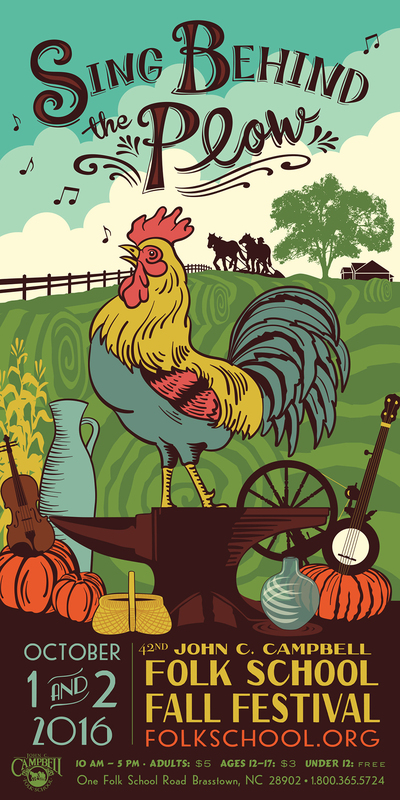 Come on down to the Folk School Fall Festival this weekend! 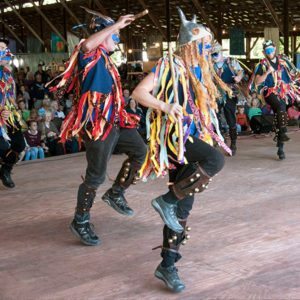 Enjoy lively music and dance performances on two new stages, shop for fine crafts, and view over 40 craft demonstrations. Savor delicious food, and participate in many kids’ activities. The Fall Festival offers fun for the entire family. Parking: Lots of Free Parking and Shuttle Service. Donations Accepted (see below). Please note: there are no ATMs on campus. Most craft vendors accept credit/debit cards, but you will need cash for your entry tickets and food items. Please leave your dogs at home. 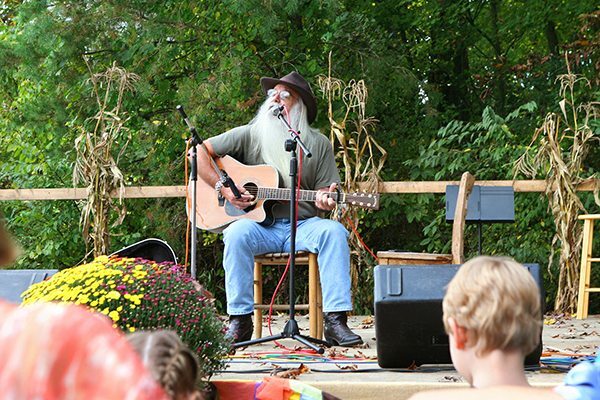 Throughout Fall Festival weekend, music will flow through the trees from two performance stages. 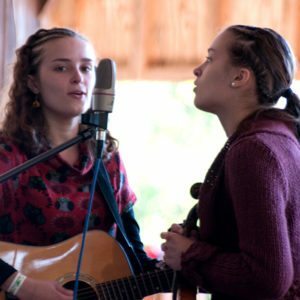 The Festival Barn stage and the Shady Grove stage, near the Craft Shop, will showcase diverse music and dance performers. 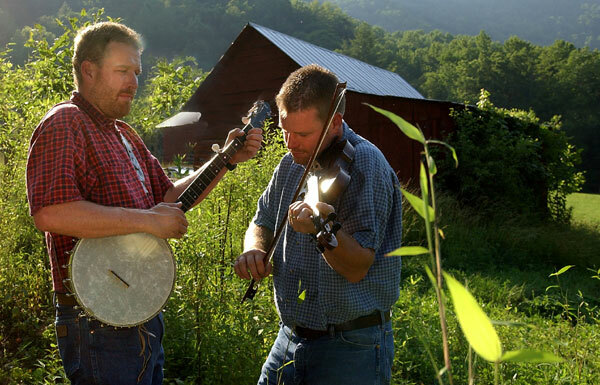 Talented regional musicians will share old time, country, bluegrass, gospel, Celtic, and Blues songs with the audience. 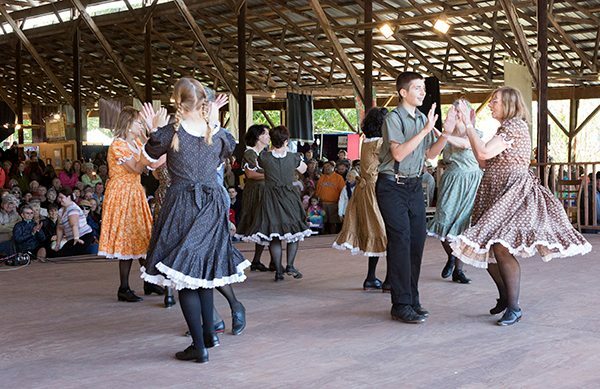 Appalachian cloggers and Morris dancers will delight everyone with their intricate footwork. Festivalgoers will meander along tree-lined paths, greeting over 240 local and regional artisans showcasing their work for sale. 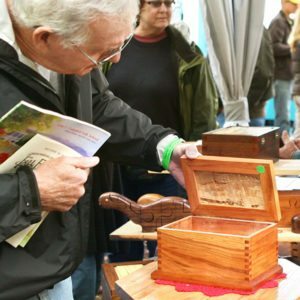 Browsers will enjoy many fine crafts in a variety of media including wood, fiber, jewelry, naturals, glass, clay, photography, metal, book arts, painting, garden arts, and more! Remember, there are no ATM’s on campus: While many vendors accept credit cards, attendees are encouraged to bring cash to pay for tickets and food. Visitors can view over 40 traditional and contemporary craft demonstrations, each offering a glimpse into the artist’s creative process. 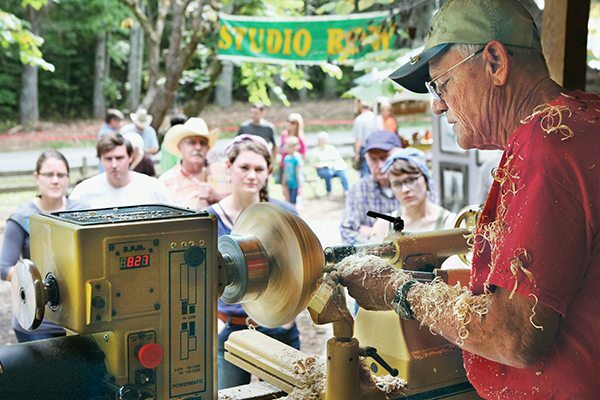 Download our program to see where you can view demonstrations in spinning, dyeing, book arts, calligraphy, marbling, wood engraving, quilting, weaving, blacksmithing, clay, jewelry, tinsmithing, woodcarving, basketry, broom making, chair seats, and wood turning. The Brasstown Fire Department will also be onsite to demonstrate fire prevention. 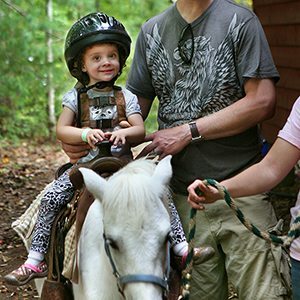 Children will enjoy activities such as pony rides and face painting. The Valley River Humane Society’s pet adoption exhibit will attract animal-loving kids and adults looking for an ideal canine companion. 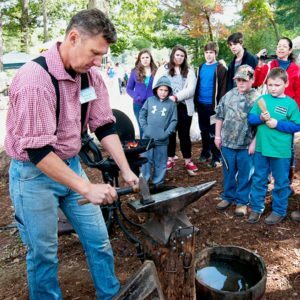 The Cherokee County Arts Council will host crafts activities for kids (free) near Open House. They will have paper arts, fabric collage, painting, felting, whimmy-diddling, and more! 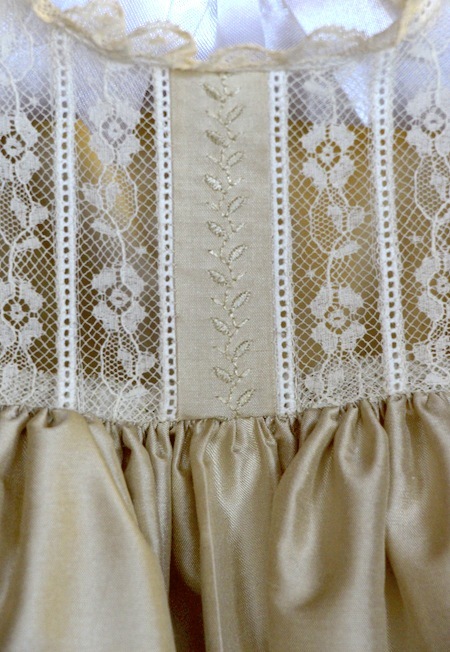 Visitors will enjoy two exhibitions highlighting the Folk School’s Visual Arts and Quilting and Surface Design Programs. The School’s Davidson Hall will showcase Visual Arts by talented Painting, Drawing, and Mixed Media instructors. 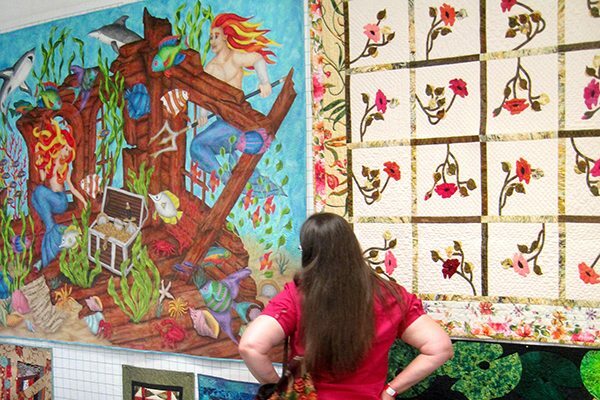 In the Pitman Fiber Arts Building, skilled Quilting instructors will display quilts on the studio’s walls. Dolls, bears, and surface design pieces will hold court in the center of the room. Parking is free and abundant. Take advantage of a free on-campus shuttle bus courtesy of Cherokee County Transit. These spacious, well-equipped vehicles will travel between parking areas and the Craft Shop and Festival Barn gates. Handicapped parking is available in the gravel lot by Keith House and by the Fiber Arts Building. While parking is free, you’ll notice that Tri-County Early College High School volunteers will distribute donation envelopes for those who wish to contribute. If it rains, Shady Grove Stage will move to the Keith House Community Room. Fall Festival 2016 posters are also available in the Craft Shop for $3. 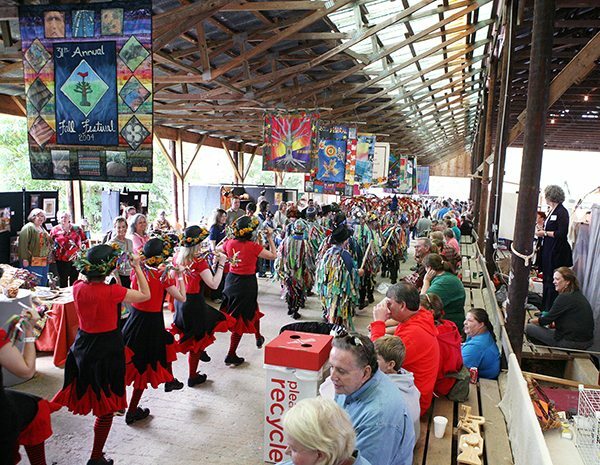 Visit the Folk School Information Booth in the Festival Barn. 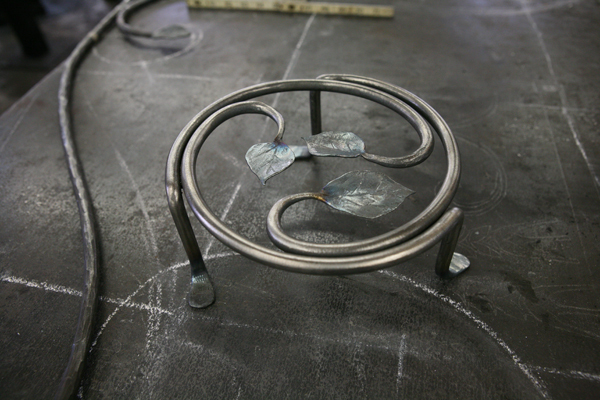 Enter to win a free class of your choice! 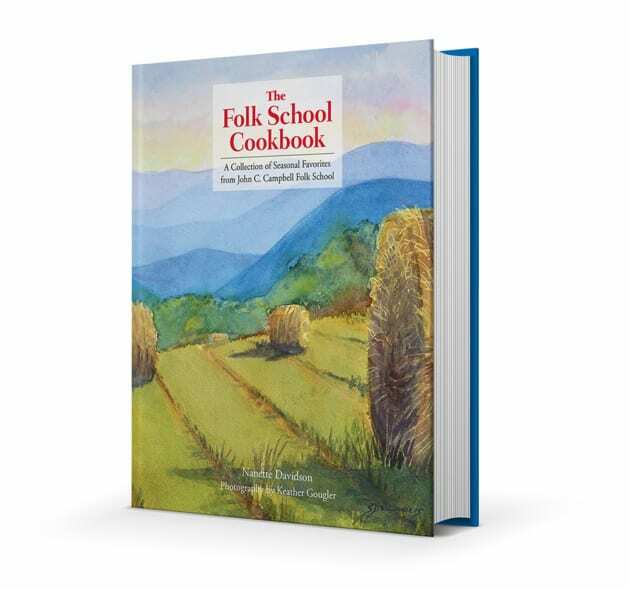 Select from many five- or six-day classes in our print catalog, available at the Information Booth. love this festival and have attended several times including yesterday but have a suggestion for some areas of rest meaning benches or something there is hardly a place to rest and this festival is literally on the side of a hill and walking on gravel is hard. At the Craft Store you have filled in the front area with more booths and moved stage to side woods which was not near as good. and most disappointing Thank you for a comment log and another great festival however. You need to move Kenneth Gay over to the Barn Stage. One of the best we’ve ever heard. This event is a must do! You need to attend this fascinating exhibition and show !